Well-being centre and spa in the heart of a thermal village. 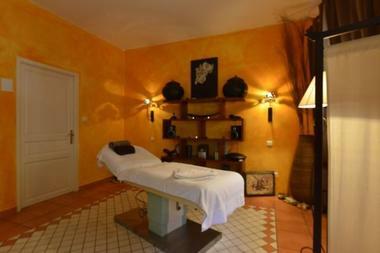 Le Cilaos hotel has a genuine Well-Being Centre and Spa: Aroma Spa offers different treatments and massages. The balneotherapy area has 2 saunas, a steam room and 3 jacuzzis. Open from 8.30am to 8pm. Environment / Access : Head towards Saint-Louis and then Cilaos. In Cilaos, cross the main road. At the post office, turn right. At the second intersection, turn left and drive around the lake, at the intersection turn left. On the right, after the ambulance company take the rue des Pins. 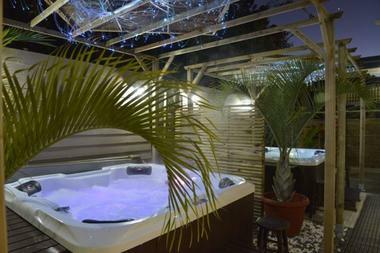 The Hotel Le Cilaos is situated 200 meter further.